Men and women interested in a lower body lift have often lost massive amounts of weight and are left with loose, sagging skin on several areas of their body. It can take years, and sometimes surgical intervention such as bariatric surgery, to shed those excess pounds and lead a healthier lifestyle. The leftover skin tissue on your arms, abdomen, thighs, and many other areas may stop you from enjoying your new body shape. A lower body lift is a skin removal surgery that gets rid of your loose skin to reveal the figure you’ve worked so hard to attain. If you struggle with sagging skin on multiple areas of your body, please contact Dr. Young in Overland Park today at 913-341-2188 to see if a body lift is the right cosmetic surgery for you. Advanced Cosmetic Surgery serves patients in the Kansas City area. Our body lift patients typically come in with multiple requests as losing a substantial amount of weight affects the skin on every part of your body. Our plastic surgeon emphasizes patient education and can answer your questions during your initial consultation. Loose skin is the result of extreme fluctuations in weight, but your age and genetic factors also contribute. Your skin loses its elasticity as you get older, making it difficult for your skin to tighten naturally after pregnancy or massive weight loss. Skin removal surgery is the best way to improve your contour following these lifestyle and bodily changes. A body lift removes excess skin and some residual pockets of fat to improve the shape of your body and reduce skin irregularities such as dimpling. Our board-certified plastic surgeon performs the body lift in two stages. The procedure is extensive, as Dr. Young is removing skin tissue from several areas at once such as the abdomen and chest. Splitting the procedure in two is safer for you and offers better results in the end. The Tummy Tuck and Front Skin Removal: The first priority for our patients is often the abdomen. Dr. Young focuses on the front portion of your body lift first, performing a tummy tuck to remove excess skin tissue from your stomach area, tightening loose abdominal muscles, and using liposuction to create a smooth contour. Massive weight loss affects the breasts and chest area as well. Breast augmentation or a breast lift can be done during the first procedure. Lower Body & Posterior Skin Removal: Once you’ve healed from the first procedure, which typically takes eight weeks, Dr. Young will proceed with the second stage of your body lift. This step involves the back area and removing skin from the arms and thighs. The traditional body lift surgery involves a front to back incision. Dr. Young doesn’t perform skin removal that way because it complicates both the procedure and the recovery process. His two-stage technique offers several benefits, but the most important is your safety. Skin removal surgery done on many areas at once will take too long and put too much strain on your body. The recovery process will be more grueling and uncomfortable. Dr. Young’s method also gives you optimal results. His attention to detail and artistic eye makes sure you end up with a beautiful figure that’s free from sagging skin. A body lift alone may not give you the results you’re looking for, so Dr. Young may recommend doing breast augmentation or another cosmetic surgery in conjunction with the skin removal procedure. Weight loss and pregnancy impact your chest area, causing breasts to sag and loose skin from the fluctuating breast size. A breast lift is also an option, but breast enhancement is the usual route our patients choose to restore and improve their breasts. Our plastic surgeon’s lower body lift method involves a tummy tuck, which does more than remove excess abdominal skin. The procedure repositions muscles and tightens the abdominal wall to give you’re a flatter, firmer figure. However, Dr. Young also performs liposuction during the abdominoplasty procedure. 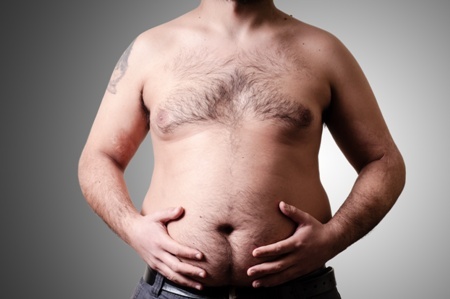 He has your whole body in mind during surgery and getting rid of stubborn pockets of fat will provide the best results. During your free consultation, Dr. Young will discuss your goals and get an idea of what you’d like your body to look like in the end. Your skin removal surgery will likely involve breast augmentation, liposuction, and a tummy tuck. Your safety and goals for your body are our top priorities. Candidates for a body lift have usually lost 100 or more pounds and have extra skin in many areas. Women who’ve had children are typically good candidates for a body lift as well. You have loose skin tissue in multiple areas of your body, particularly your lower half. You’re at or close to your goal size and have proven you can maintain a stable weight. You’re in good health and don’t have a medical condition such as heart disease or diabetes that could interfere with your procedure and the recovery process. You have the time available to recover from a body lift, which means at least two weeks away from work and restricted movement. However, you’ll need to take additional time away for your second surgery. You have realistic expectations for what we can accomplish with a body lift. You’re a non-smoker or prepared to quit for several weeks before and after your body lift. The body lift is one of the more uncomfortable cosmetic surgeries to recover from, which is another reason why Dr. Young splits the procedure in two. Your first procedure involves the front of your body. You’re going to have tightness across your abdomen and need to lay on your back during the first few weeks following your body lift. The benefit of the two-stage technique is you can focus on recovering your front half instead of discomfort on both your front and back. You’ll need two weeks off of work following the first portion of your body lift. There’s a six-week restriction on mobility. Drains are involved with the healing process, which further limit your movements. You won’t be able to exercise or lift heavy objects during this time. Recovery from your second procedure that involves the arm, thighs, back, and buttocks is easier than the first. You’ll be able to move around a bit more than before, but there’s still another six weeks of restrictions. The last stage of your body lift requires one week off work instead of two. There are several follow up visits with Dr. Young where he’ll check on how you’re healing. These appointments will be one week, two weeks, six weeks, six months, and one year after your body lift. There are many plastic surgeons in the Kansas City area. You need to feel comfortable with the surgeon you choose to perform your body lift and his or her ability to deliver your desired results. Before you plan your procedure, look at the before-and-after photos of other patients and make sure they’re board certified by the American Board of Plastic Surgery (ABPS). The ABPS requires plastic surgeons to meet a long list of criteria and continue their education each year to maintain board certification. Dr. Levi Young is board-certified and takes pride in providing individualized care to all our patients. Your cosmetic surgery should be customized to suit your unique goals for your body. He performs the body lift in two procedures instead of the traditional technique because his method offers the best outcome in the safest manner. Our plastic surgeon is also an artist. His work is featured on the walls of our office, and that eye for detail and perfection comes into play during surgery as well. He’s been featured in the media, won awards for his excellent work, and been recognized for patient satisfaction. 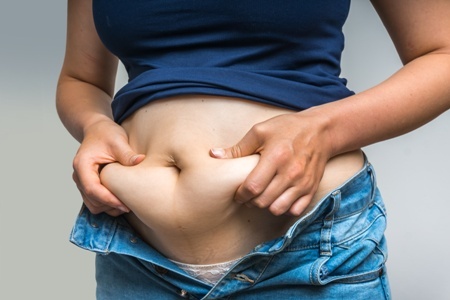 If you’re interested in getting rid of loose skin left over from pregnancy or extreme weight loss, please contact Dr. Young in the Kansas City area today at 913-341-2188 to see if a body lift is right for you. Advanced Cosmetic Surgery serves clients in Overland Park, Kansas and surrounding Kansas City areas.